As a companion to our story on the Queen’s Guard, Mistress Arianna of Wynthrope interviewed former royal retainers to learn what the job of serving the Crown entails. 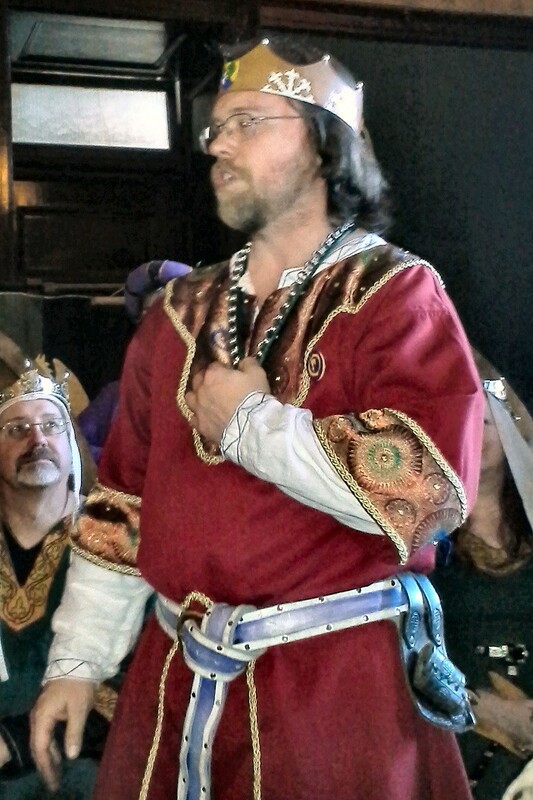 Master Tigernach mac Cathail, photo by Mistress Arianna of Wynthrope. As our Kings and Queens travel among the populace, you may have noticed that they are almost never alone. Typically there is at least one gentle tagging along behind, often carrying a basket, goblet, cloak, or fan. 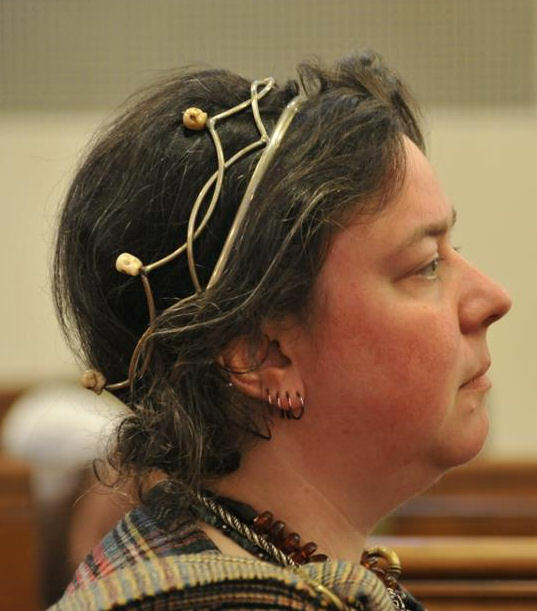 During courts, they are standing behind the thrones, fanning the royals if it is warm or offering them libations to keep their throats cooled. These good folk are retainers, and while their job may look simple, doing it well it is not. Some experienced retainers explain why. 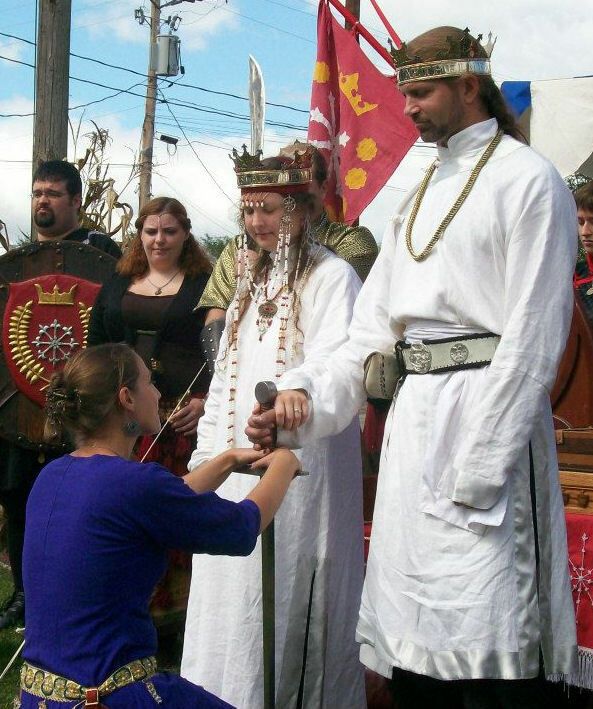 Baroness Nuzha swearing fealty to King Khalek and Queen Branwen as head retainer, photo by Baron Friderich Schwartzwalder. Mistress Euriol, photo by Master Alaxandair Ó Conchobhair. Mistress Katryne Bakestonden, photo by Master Augusto Giuseppe da San Donato. What does the Head Retainer do? Baroness Nuzha noted, “If you are the head retainer, it is your job to make sure that your retainers are taken care of, as well as the royalty.” She recommends that all retainers have a backup and know their limits. 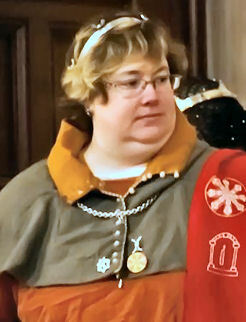 Baroness Bodicea Ravenhair, photo by Baron Steffan Wolfgang von Ravensburg. 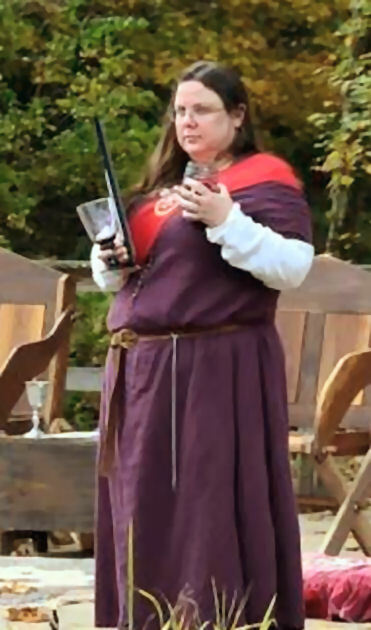 May I print this out and hand it out at a class I am teaching on being a Lady in Waiting at an SCA event in Atenveldt. There is no charge ffor the class. Ithink this would be helpful for the atendees. I am glad you liked my article and think it would be helpful for your class. I appreciate your asking permission to use it. By all means, go ahead, as long as you retain attribution. May I know your SCA name and local group?